The story received national attention for exactly the right reason: It was a selfless act and, in my mind, it embodied one of the many wonderful characteristics of this place, The Woodlands, that make our community so unique. People helping people is what has always been the distinguishable trait of The Woodlands since its inception. When someone falls down, there is always someone there to help. A “spirit of generosity” runs throughout every facet of our community. And I’m exceedingly proud of this. Since the time of its founding decades ago, The Woodlands has continuously embraced people of all ages, ethnicities and socioeconomic backgrounds. We have fostered mentorship opportunities so that our young people can learn from the best. Every person is worthy and unique which applies whether a person’s eventual path is to move away or stay here and raise a family. Our success is not accidental. Certain things have been done to keep us on track. First and foremost, Mr. Mitchell’s vision and implementation. Another is when former Senator Tommy Williams, Representative Rob Eissler and other community leaders led the charge at the Texas Capitol to give us the unique township form of choosing our own destiny, meaning less taxes and less government. Well, we have first-class public safety, outstanding retail and restaurants, the number one amphitheater in the world, over 200 miles of bike trails and 40 parks. It’s amazing to know that about 28 percent of our community is forest preserves, golf courses, and other open spaces. Also, employment options continue to grow in The Woodlands. It has been getting better and better for decades. Major corporations locating here allow our young adults to come back home to live, work and play. Both my son and daughter ultimately moved back to the area because their best job offers were here. You never know how long they’ll stay, but as a parent you hope it’s forever. The Woodlands is also a regional hub for health care with some of the premier medical facilities in the area. Options for senior living are incredible. You see grandparents moving here to be closer to their adult children and grandchildren. We’ve seen third and fourth generation Woodlands residents who stay their whole lives because they can go from independent living to transitional living to fully assisted living without the need to move to some other place. It’s all right here. One thing outsiders may not understand about The Woodlands is an incorrect perception that only affluent people live in our community. Nothing could be further from the truth. Mr. Mitchell originally built The Woodlands with HUD money, which is exactly why there’s housing for all socioeconomic groups in various areas of our hometown. It is blended into the framework of this community such that no one is stigmatized by the part of the township where they reside. An interesting example of that was the time when a friend of mine moved here from out of state and went to apply to live in an apartment complex (not realizing that it was HUD housing). He drove up in a luxury car and was immediately told he would probably not qualify to live in one of the apartments. The young man assured the manager of the complex that he was employed and so surely he could get into one of the units. The point is that the complex was so aesthetically pleasing that he had no idea it was reserved for people with low incomes. The apartment complex is so integrated into our community that it would impossible to tell it had any special designation. The Woodlands takes pride in its community regardless of socioeconomic level. On the flipside, when I was a sponsor of Interact, I’ll always remember a high school senior who lived in a HUD housing complex and refused to apply for any scholarships. I shared with him my pride any time one of my children earned a scholarship. If he received a scholarship, I told him it would be because he had earned the recognition. This was a gift that a young man with his brilliance and talent could use to succeed. 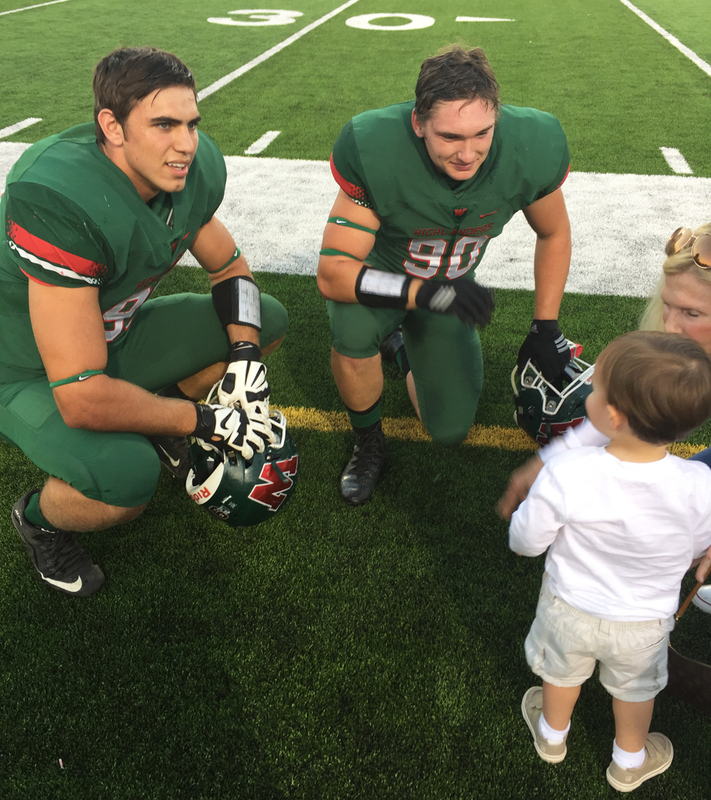 I think the young man – who eventually did apply for scholarships – was driven by a “spirit of generosity.” He didn’t want to take anything from someone else who might be more deserving, not unlike The Woodlands Junior Varsity football players who took a knee rather than beat the other team who had just suffered a huge personal loss. It is that “spirit of generosity” that runs throughout the fabric of The Woodlands. In today’s political climate, it would behoove us to remember just that.